Today, Friday, September 19th, is officially Topps Fire Friday. What does this mean? It means that starting today collectors around the county will have a chance to win a case of Topps Fire Football trading cards, which hits stores in January. Starting today and running all weekend long, through September 21st, to enter for a chance to win, just walk into your local hobby shop and ask that the store order Topps Fire Football. Next, take a picture of you in the hobby store “asking for Topps Fire” in a creative way such as holding up a sign that says “I want Topps Fire” with the store manager. Once you take the picture, tweet it out using both the hashtag, #ToppsFireFriday &, Topps' Twitter handle, @Toppscards OR post the picture to Topps' Facebook page at Facebook.com/Topps using the the hashtag, #ToppsFireFriday . The entrant who submits the most creative photo will win! The winner will be announced on Tuesday September 23rd on Topps’ Twitter and Facebook accounts. 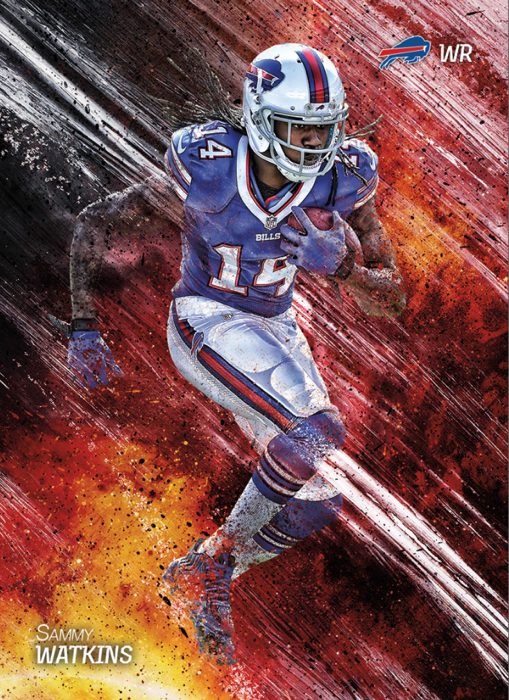 The lucky winner will receive a CASE of Topps Fire Football upon release of the product in January 2015!